Some times you’re just in the mood for some good homemade Gazpacho. I love it when someone makes a special request for this dish. 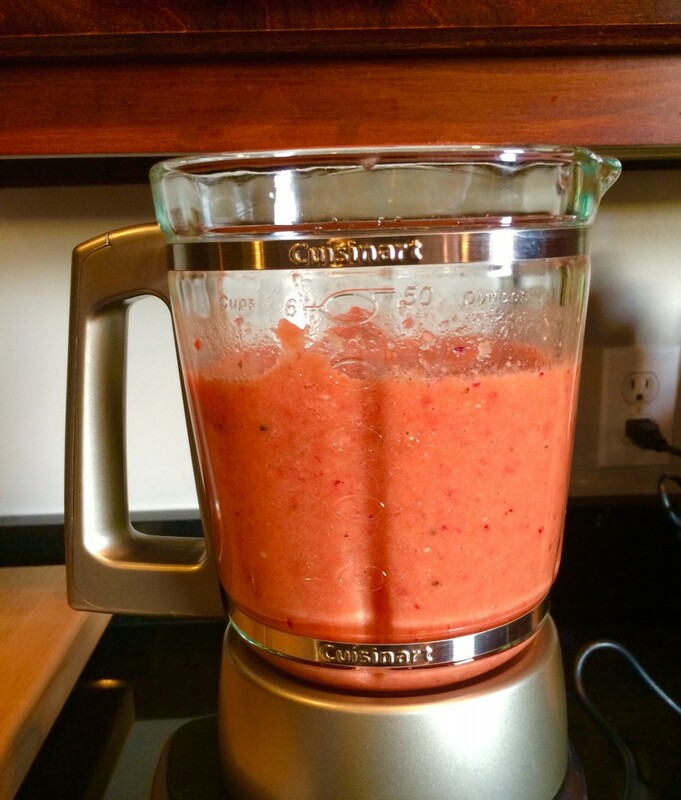 Here’s a few pictures of my favorite gazpacho recipe that I make quite frequently. OMG!!! On a hot, sultry day in Mississippi, the last thing I want to do is turn on the stove. 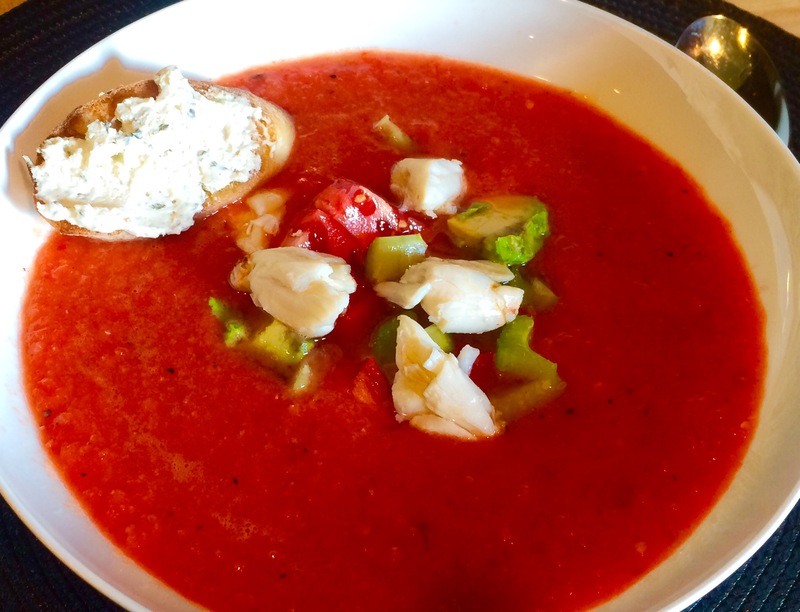 So I took the bounty I gathered from the garden and the farmer’s market and made the most flavorful chilled soup – Gazpacho. 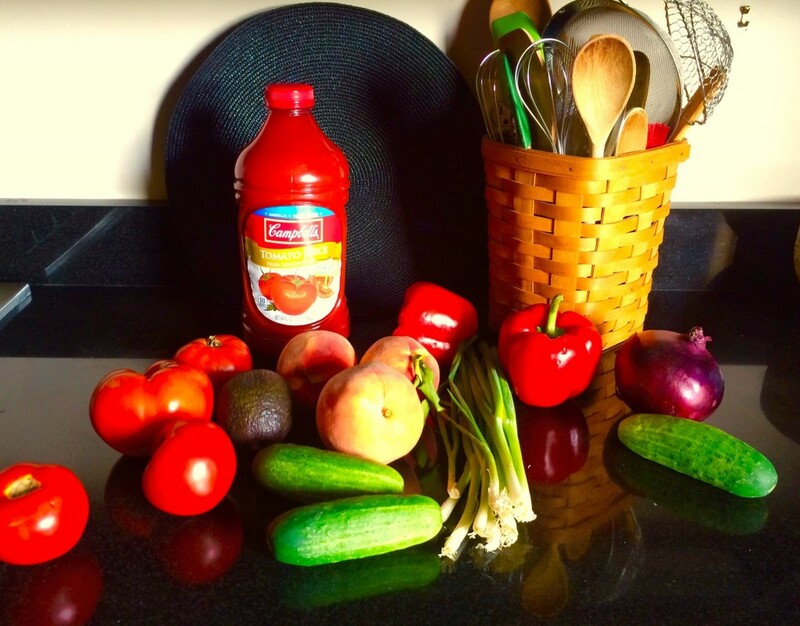 Juicy, succulent tomatoes, peaches in all their glory, crisp red bell peppers, fresh cucumbers all come together for a dancing delight on your taste-buds. This gazpacho is a fabulous combination of spicy, sweet and savory. I love spicy but if you don’t, you can omit the red pepper flakes. I recommend letting this sit for at least 4 hours, and preferably overnight before serving. This infusing time will really make the soup sing. Several years ago, my other half and his father took a trip to Spain and Portugal. When he returned, all he could talk about was the cold soup and how he wanted me to learn to make it. After many, many attempts, I finally comprised a recipe that he said was better than what he had in Spain. “Put some soft biscuit or toasted bread in the bottom of a salad bowl, put in a layer of sliced tomatoes with the skin taken off, and one of sliced cucumbers, sprinkled with pepper, salt and chopped onions; do this until the bowl is full, stew some tomatoes quite soft, strain the juice, mix in some mustard and oil, and pour over it; make it two hours before it is eaten.” The salted tomatoes and cucumbers extracting juices that became soupy. 1. Make an X with a pairing knife on the bottom of the tomatoes and peaches. Drop the tomatoes into boiling water for 15 seconds, remove and transfer to an ice bath to allow to cool until able to handle, approximately 1 minute, the slip off their skins. Repeat process with peaches. 2. 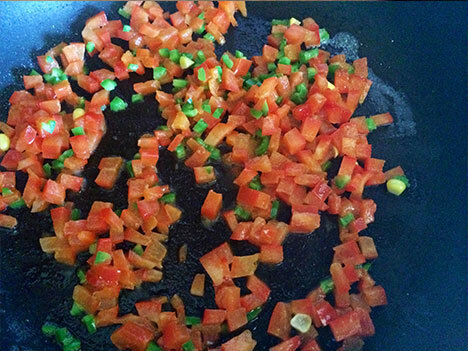 Cut the tomatoes in half crosswise and squeeze out the juice and seeds into a strainer over a bowl. Reserve the liquid and discard the seeds. Coarsely chop the tomatoes and peaches. 3. 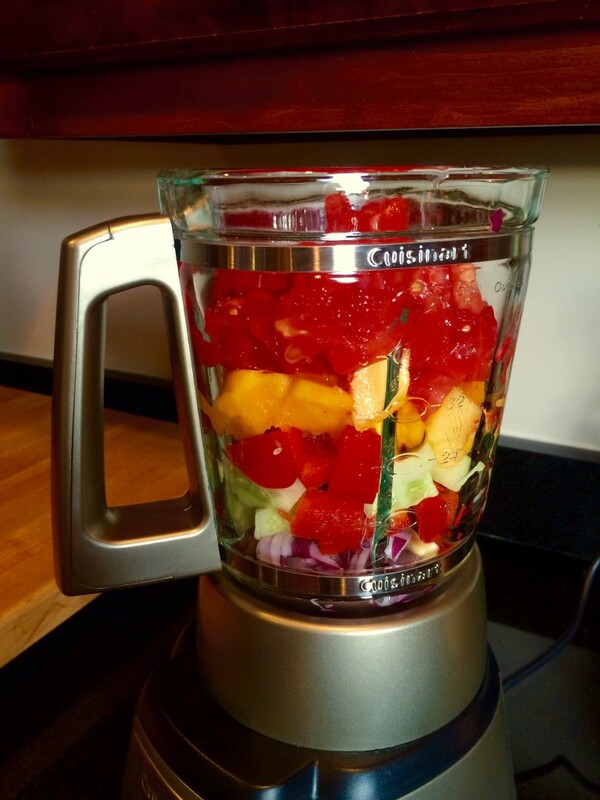 Place all ingredients for the gazpacho including reserved tomato liquid into a blender and blend until they are liquefied. 4. 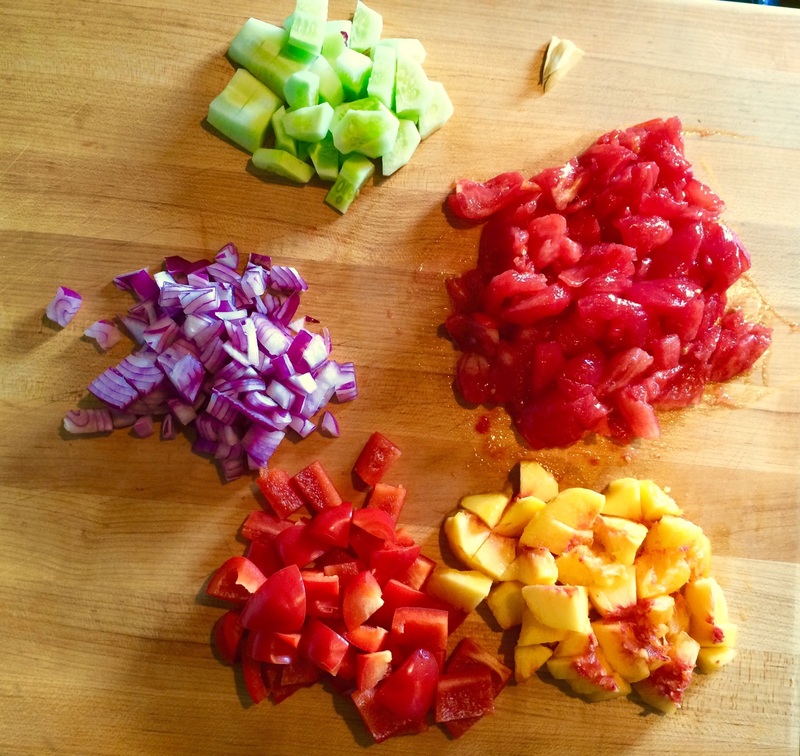 Cover and refrigerate gazpacho for at least 4 hours to overnight. the longer you let the gazpacho sit, the better it will taste. 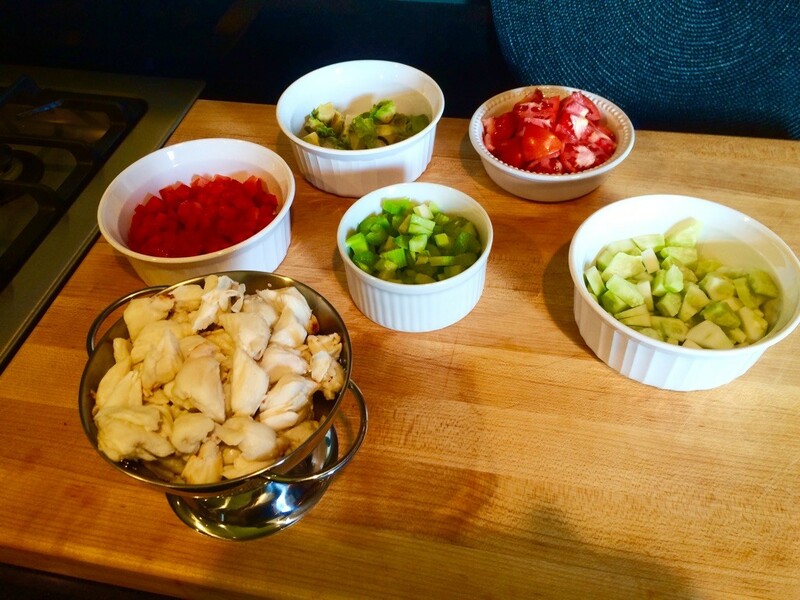 Set out the garnishes and pour the soup into a bowl and let each person garnish as desired. Serve with a warm cheese crouton. A great big bowl of summer flavors! If you aren’t a big fan of cold soup, make it into a salad – take 1 cup 1-inch square bread pieces that have been toasted, seeded and chopped tomato, peeled and chopped cucumber, chopped red bell pepper, 5 tablespoons red wine vinegar, 2 tablespoons finely chopped fresh flat-leaf parsley, 1 tablespoon finely chopped fresh basil, 2 cloves garlic, minced, 1/3 cup extra-virgin olive oil salt and pepper to taste. Toss all ingredients together and serve immediately. Can be made ahead of serving by omitting bread until ready to serve. How about a Gazpacho Sandwich? When I was growing up, biscuits were on our breakfast table every single day.Coming from humble beginnings, we didn’t have lots of money, a fancy car or a big house but we did have a love and sense of family that no amount of money could ever buy. Back then, folks bought flour in twenty-five pound flour sacks, so biscuits and dumplings and such were a great way to make a meager meal more filling for the entire family. Oftentimes, breakfast for us consisted of biscuits and gravy made using some bacon grease for seasoning. Mother would fry one piece of bacon to get enough grease to make the gravy. She made a simple roux with the grease and flour, added water until she had the consistency she wanted and seasoned with a little salt and pepper. Daddy always got the bacon since he worked hard in the coal mines. Sometimes we would just have biscuits and syrup (always Golden Eagle). My brother and I would take our finger and punch a hole in the side of the biscuit and Mother or Daddy would pour the syrup in the hole. Biscuits are made with so few ingredients, the quality of each is of utmost importance. 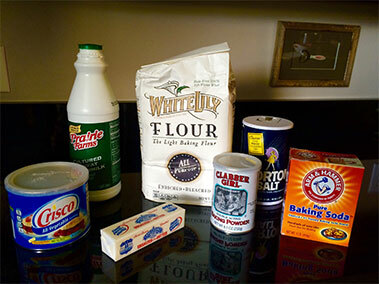 So be careful about the flour (White Lily recommended) and shortening (Crisco vegetable shortening recommended). Grate the butter on a box grater for evenly cutting in fat. One must work the dough in such a way that each grain of flour is encased in fat. This reduces the amount of liquid that makes its way into the flour, which activates less gluten. Keeping the flour and the fat cold until mixing time also inhibits gluten development. A fine biscuit is not the sort of thing that one can learn on the run. 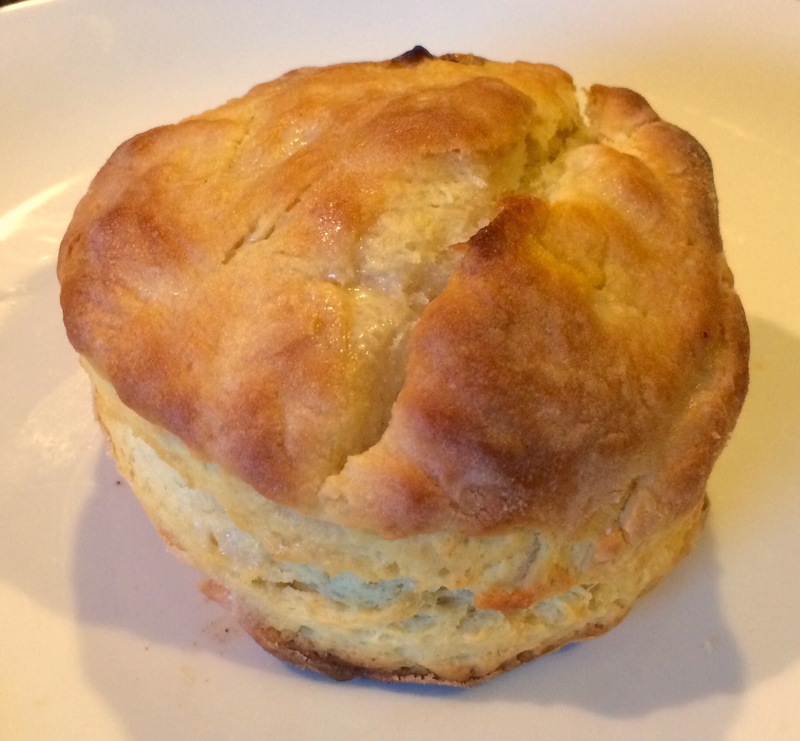 Tender biscuits are the result of a particular touch, and acquiring it demands practice. The more often you make biscuits, the better you will get. You will become familiar with how the dough should feel, how much fat and liquid you need, and how much you should handle the dough. 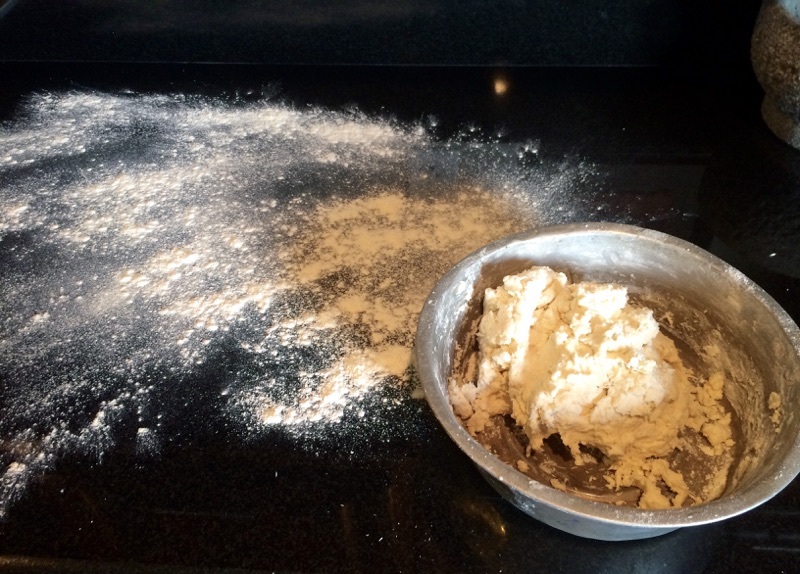 When I was making biscuits on a regular basis, I knew exactly how many scoops of flour to the number of tablespoons of fat I needed to make a certain number of biscuits. During the summer I would go to my Aunt Dot’s house and stay for a couple of weeks to play with my cousins Lena and Gladys. They lived way up in the country in Kemper County and there was a gravel drive leading to their house. Of course being little, we thought the drive was very long and a great place to have a picnic. We would take a cold biscuit, cut it in half and place a slice of white onion in the middle – yummy, an onion sandwich. That was our picnic lunch and we sure enjoyed it. I don’t think we would have enjoyed a fancy sandwich as much. Remember the definition of a biscuit is a vessel for just about anything. 1. Use a soft-wheat flour (White Lily recommended). 2. Use a combination of solid shortening and butter. 3. Make sure butter is frozen and flour, shortening and buttermilk is very cold. 4. Don’t overwork the dough. 5. Bake in a very hot oven. 6. Brush tops with oil or melted butter for golden brown color. 2. Whisk flour, baking powder, baking soda and salt to combine. 3. Grate frozen butter on the large hole side of a box grater. I recommend leaving the paper on the the portion of butter you aren’t using so that your hands do not melt the butter as you grate it. 4. Work butter and shortening into the flour mixture with the tips of your fingers until it resembles coarse to fine crumbs. 5. With a fork, briskly stir in buttermilk, just until thoroughly incorporated. You will have a wet, sticky dough. 6. Turn dough out onto a well floured surface and sprinkle top with a little flour. With floured-hands, knead dough 5 to 6 times, sprinkling with more flour as needed. 7. Roll out dough to 1/2-inch thickness. 8. 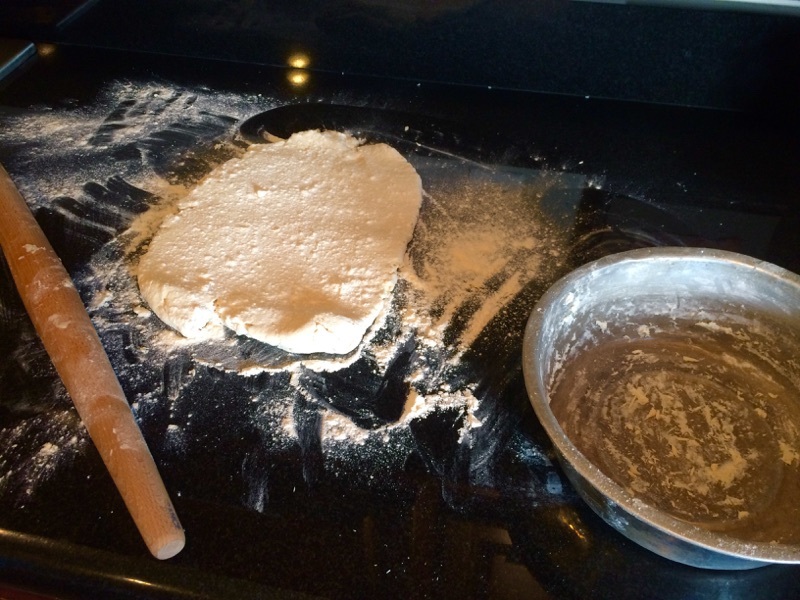 Fold dough in thirds, lengthwise, making sure the width is at least 3-inches. Fold in half from top to bottom and gently press layers together. 9. Cut biscuits with a 3-inch biscuit cutter. * Place on baking sheet** and brush tops with melted butter or vegetable/canola oil. 10. Bake 15 to 20 minutes until golden brown. *At this point, biscuits can be frozen. Place the cut biscuit rounds on a flat surface, and freeze. Transfer to a zip-top plastic bag once they’re firm. Add 5 to 8 minutes to the bake time. 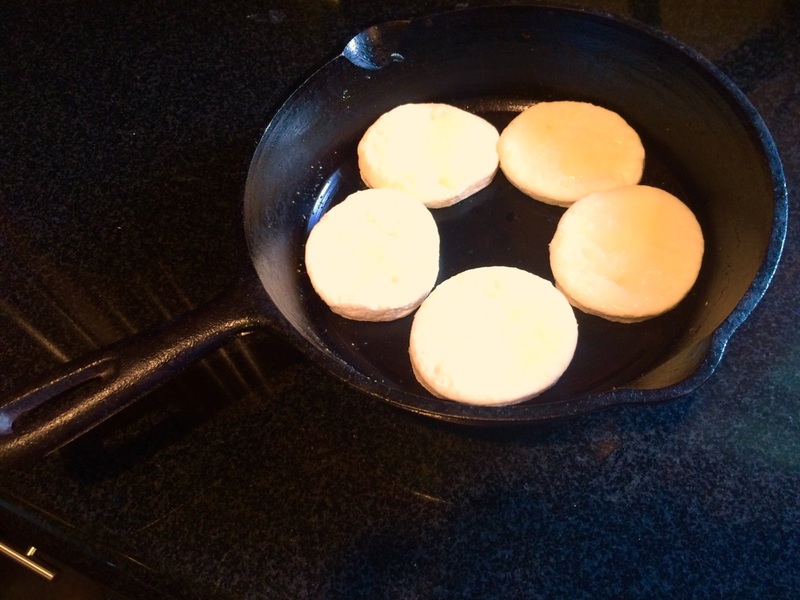 **Bake in a cast-iron skillet spread with a little butter for a crunchy-bottomed biscuit. Variations: Stir in 1/2-cup grated Parmigiano Reggiano cheese and 2 teaspoons fresh coarsely ground black pepper into dry ingredients. Proceed was directed. Stir in 2 to 3 teaspoons chopped fresh rosemary (or herb of choice or combination of herbs) into dry ingredients. Proceed as directed. Add 2 tablespoons granulated sugar to the flour mixture, and replace the buttermilk with heavy cream for a sweet shortcake biscuit. NOTE: Now that you have baked a perfect biscuit, don’t smush it when you split it. Here’s a tried-and-true trick: gently spear the biscuit all the way around the edge with a fork. You’ll end up with a clean split and an even surface that begs for a pat of butter or a spoonful of jelly/jam. 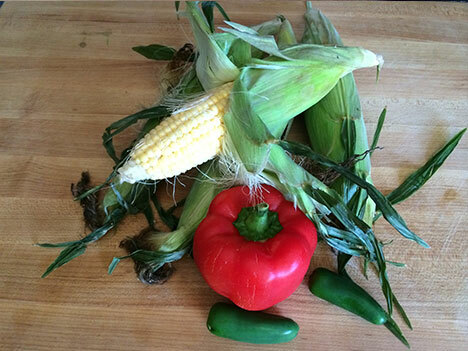 Summer in the south brings an abundance of fresh vegetables. One of my all time favorites is corn. Farm-fresh corn is practically indescribable in it’s taste, and it’s well worth running straight home to place in boiling water. A little butter and salt is all you need for this sweet, delectable treat. 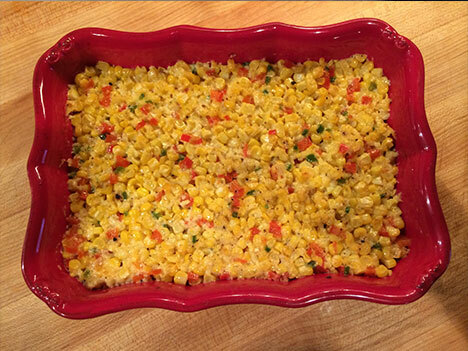 I really like coming up with new recipes for this summer delight and Summer Fiesta Corn is one of my most recent. The first thing I do before I begin cooking is to get all of my ingredients together and all of my equipment out. 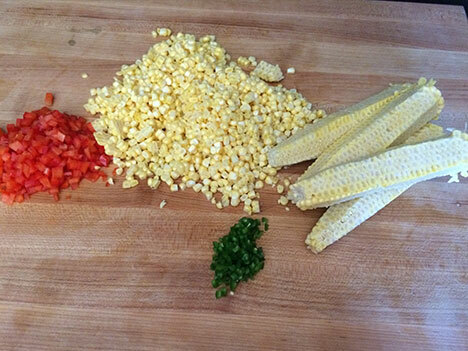 In the culinary world, this is called “mise en place” or put in place. I get all my prep work done so I can cook without stopping and starting time and time again. Have you ever decided to make a certain dish, get started, then realize you didn’t have an ingredient? This has happened to me before and can be really frustrating. So if we get everything together in the beginning, we are an organized cook, less stressful and we can have more fun. So many people struggle on side dish ideas – I know I do. And it’s all good if a side dish is simple and easy – especially if it’s packed with flavor. This recipe makes a great side dish for almost any meal. Each ingredient really provides this recipe with so much flavor and texture. This is creamy and rich and will have everyone coming back for seconds. Crunchy, crispy, creamy corn goodness!! A great big bowl of summer. NOTE: This easy dish goes with anything from grilled hotdogs to beef tenderloin. Is Patriotism Still Alive in America? Fireworks and Flags!! Cookouts and Cold Drinks!! July is certainly the month to think about patriotism. As we know or should know, July 4th is the day that America declared its independence from England, then the most powerful country in the world. Currently the divisions in our country’s belief system have downplayed our original loyalty to the grand old flag – and what it truly represents. Today, patriotism implies a diversity of intense emotions. Many have died for the love of this country and many of those living today can’t seem to wrap their mind around how fighting in a foreign land will somewhere down the road keep America safe and free. Patriotism is a somber subject today when politicians are trying to change the face of our nation. Oscar Wilde said, “Patriotism is the virtue of the vicious.” Some people would like to see patriotism die away. The true definition of patriotism radiates from deep within each one of our hearts. When you stand facing “Old Glory:” with your hand over your heart either singing or hearing the national anthem or saying the Pledge of Allegiance, what comes to mind? Today our country is racked by division, bickering and complaining at all levels. But when tragedy strikes, like 9/11, we all come together. Have we forgotten the true meaning of the Fourth of July? While we spend a lot of energy having fun, if we give any thought about our forbearers and their determined efforts to bring our nations independence, it’s fleeting. So this Fourth of July, Independence Day, as you gaze up at the fireworks lighting the night sky, reflect on the enduring spirit of independence that is integral to our American character. May you have a safe Independence Day!